In my last blog post I described how Vulkan allows for practically efficient depth peeled order independent transparency. An interesting side effect of using this method is that we keep information that can be used for view space object depth calculations. This allows us to draw transparent objects as if they are made of more than just thin layers such as the outer skin. Instead we can render them as if they are made of a solid translucent material but are in fact defined as a traditional triangle mesh. This method will not give an illusion of refraction or reflection. For that you may prefer a ray-tracing based method. It can however make objects appear as if they are made of aerogel or give the impression that you are looking at a sci-fi style hologram in your game. 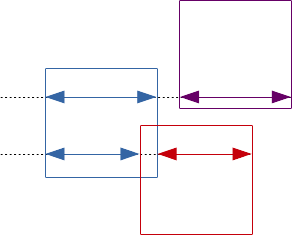 In its simplest form we could draw every other layer and use a function of the difference of the current depth value and the previous value which are both still stored in depth buffers. 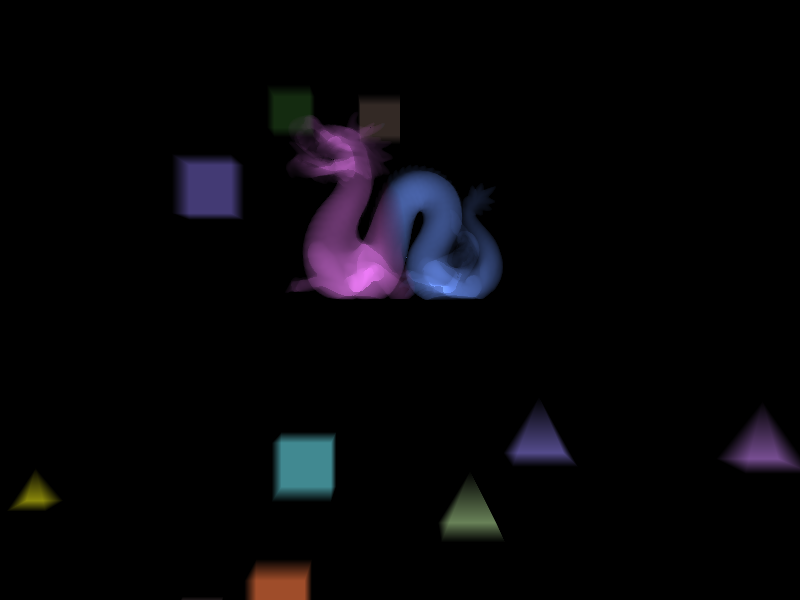 The depth values accessible in the fragment shader (both passed from the vertex shader and loaded from the depth buffer) are an inverse function of the view space depth. Using these values will cause objects that are further from the camera appear to be thinner than closer objects even though they are identical. In order to resolve this we must be able to restore the view-space depth from the clip-space depth equation. This can be derived using the projection matrix and must take in to account the Vulkan correction matrix. The equation for view space depth from framebuffer space depth is: nff-n/z-f+n2(f-n)+0.5 (view my derivation). If we take a=nff-n & b=f+n2(f-n)+0.5 then we have ViewDepth=a/(FBSDepth-b) with a & b both constants that can be computed outside of the shader. There is however a notable problem with using this simple method. When two meshes overlap we can have undesirable results. It may be hard to define what the correct result is as the situation of two translucent materials occupying the same space is somewhat unphysical. It is important however that we can place two adjacent geometries together and not have catastrophic results from depth-fighting. In order that we handle overlap correctly we can use the information provided to the fragment shader as to whether we are rendering a front or back face. We can then create a stack which records the level of overlap and mixes colours appropriately for the desired scenario. For this demo I will consider the simple case of resolving close contact geometry which may overlap due to depth fighting. The second entry in the table marked "Either or discard" covers regions of negligible depth in cases of abutted surfaces and can be discarded. In cases of significant overlapping regions you may want to choose either colour or blend the colours depending of the effect you wish to achieve. 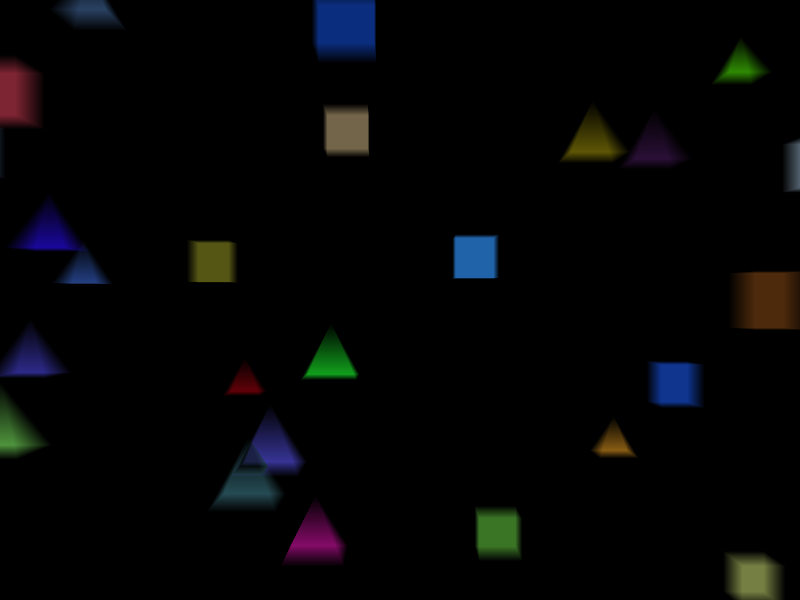 The colour selection must be performed in the blend fragment shader. This means that we must store the face direction in or along side the peel buffer. In this demo the face direction is stored in the alpha channel of the colour peel buffer. It must be noted that unlike the 'Simple' method above we must blend every layer except the first. The Stanford Chinese dragon shown in this image is actually two fully enclosed meshes with flat abutting faces. Each half is drawn with a different colour and could be drawn in the same draw call. The region shown in black will not be rendered and may be important even in cases where overlap is only caused by depth fighting of abutted surfaces. This could easily be the case if this dragon was made in three or more parts. To resolve this a third colour buffer can be used and a table similar to the one above created to consider three faces. Use of this table is currently untested but should in theory give the desired results. Full source code written in C++ & Vulkan is available on Github. So far this only considers rendering a colour with alpha that is proportional to the depth. This proportional method does not produce the same colour for an identical depth of material rendered in one part or many parts. This is due to the non-linear nature of the standard blend function. A suitable luminosity equation should be chosen instead. An alternative approach is to simulate subsurface scattering in a manner similar to the method in ARM's Advanced Shading Techniques with Pixel Local Storage.